Certain meals are meant to be cherished forever. They are usually associated with memories of special and significant events in our lives – memories that we hold onto forever and conjure up on days that seem less than perfect. 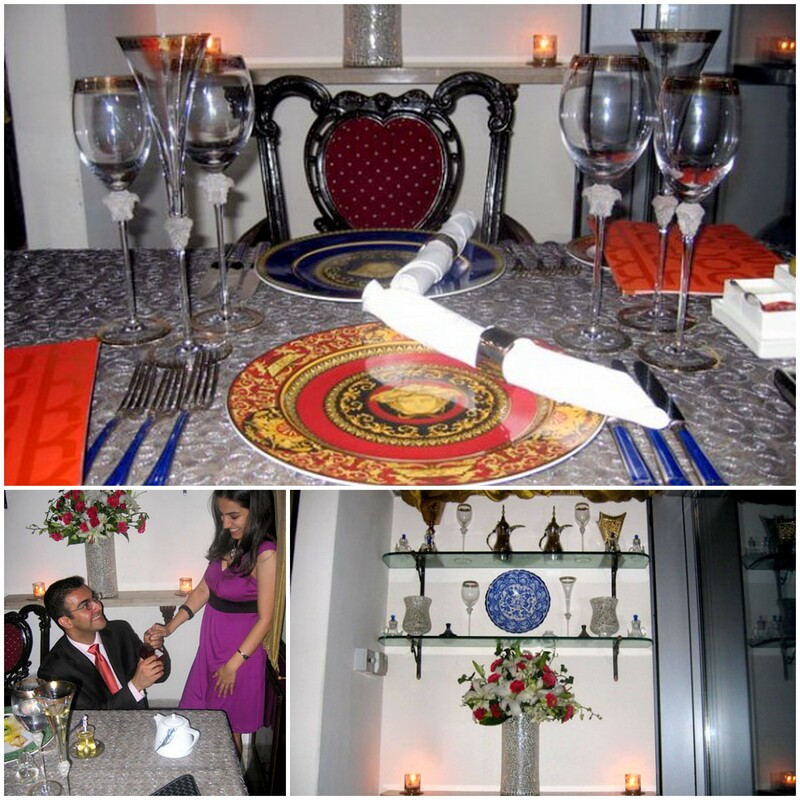 About 5 years ago, I unsuspectingly found myself in a small candlelit room with a magnificent table-setting for two. This mysterious jewel of a room is known as “Casablanca Room” (part of Souk Restaurant) and is situated in Mumbai’s renowned Taj Mahal Palace Hotel. It is an exclusive chef’s table for two, overlooking the splendid Gateway of India and the majestic Arabian Sea. Hiding in one corner of this room was the love of my life, who went down on one knee and asked me an extremely crucial question. I instantaneously made the best decision of my life and the rest is history. That night we affectionately indulged in a fabulous Mediterranean meal that highlighted some of Souk’s best dishes. 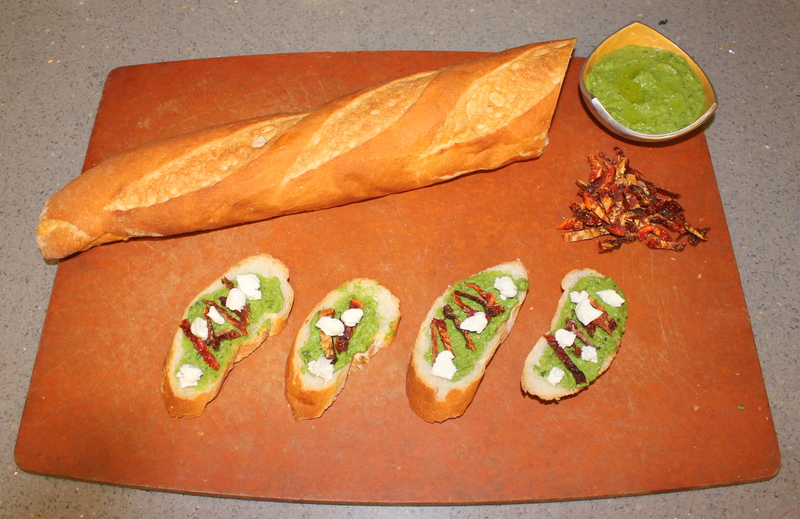 The recipe below is one of the many dishes my husband and I relished that momentous night. 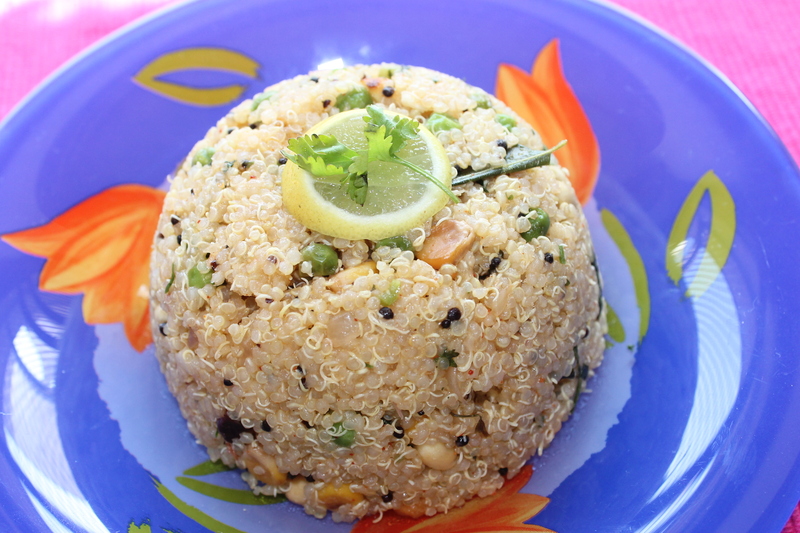 I recently came across this recipe in the “Vegetarian Fare at the Taj Cookbook” and just had to share it on my blog. Cooked spinach is always naked without garlic. 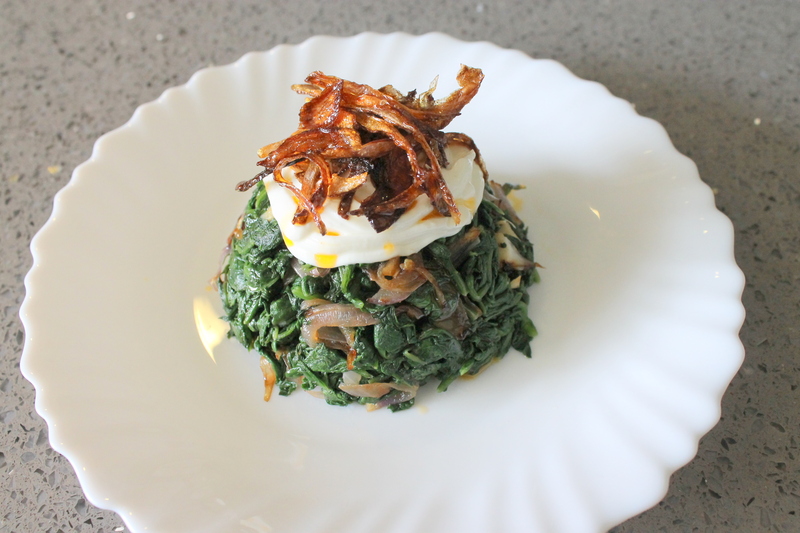 Accessorize this marriage of garlic and spinach with garlic yogurt, crispy onions and chili-oil and you have a work of art that tantalizes all the senses. Hung Yogurt/Hung curd: Take the 1 cup of full fat yogurt and tie it up in a cheese or muslin cloth. Suspend this cloth over a small container for 1-2 hours, so that all the excess water from the yogurt is strained out and the resulting yogurt is hung curd. The thinner you slice the onions the easier it will be to make crispy onion straws. 1) Blanch the spinach in batches: Bring water to boil in a large pot. Once the water reaches a rolling boil add a third of the spinach to it and remove it within 1 minute. Remove and squeeze out the excess water. Place this spinach in a pre-prepared ice bath (a large bowl with cold water and lots of ice cubes). Repeat this process for the other 2 batches of spinach. Once the spinach is no longer hot, drain it by squeezing out the excess water and set it aside. 2) In a large skillet heat the olive oil on medium high heat. Sauté the onions till they start to change color and then add the garlic and cook till it turns golden. 3) Add the spinach and sauté for 1-2 minutes. Turn off the heat and add salt and white pepper to taste. Set aside and keep warm. 4) For the garlic yogurt: whisk the yogurt with garlic and add salt and pepper to taste. 5) For the crispy onion straws: Heat the oil on high and deep-fry the sliced onions until they are crispy. Place the fried onions on plate lined with a kitchen towel to absorb the excess the oil. 6) To assemble: Mould the spinach onto individual plates. Use a piping bag to pipe the garlic yogurt or spoon it over the spinach. Top the yogurt with crispy onions and drizzle each portion with some chili oil.